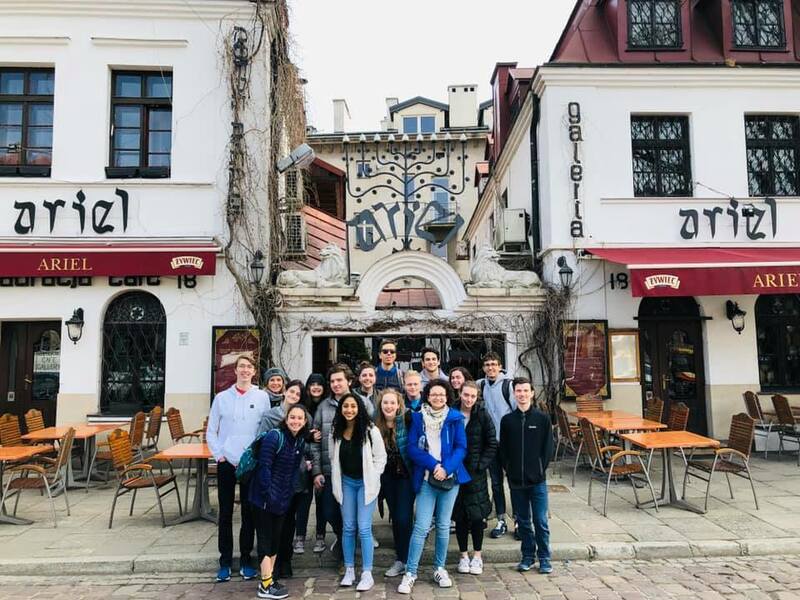 Fifteen Whitfield students had the opportunity to explore Jewish heritage and Polish culture during a school-sponsored Spring Break trip to Poland, March 18-25, 2019. Along with two faculty chaperones, Michał Kwiecień and Carine Terras, the group traveled to Warsaw and Kraków. The itinerary featured a variety of sightseeing adventures that included historical glimpses into Poland’s multicultural and vibrant past as well as the history of World War II. 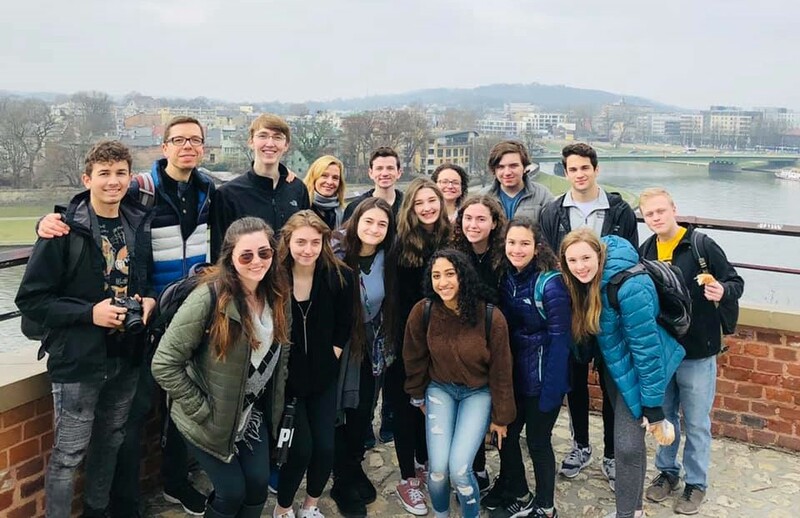 For several of the student travelers the trip complemented curricular themes in their Human Rights and Genocide Studies class including the history of the Holocaust and Jewish history in the European diaspora. In Warsaw, a city that was almost entirely destroyed by the Nazis in World War II, the group visited the Wilanów Palace, POLIN Museum, Warsaw’s Old Ghetto area, and the Warsaw Uprising Museum. The student travelers also enjoyed exploring Old Town and Łazienki Park and eating Polish food. After three days in Warsaw, the group traveled by train to Kraków, which happens to be Dr. Kwiecień’s hometown. Unlike Warsaw, Kraków was preserved during World War II. The city features majestic architecture, the historic Wawel Castle and Cathedral, and the Wieliczka Salt Mine. The group also took a walking tour of the neighborhood of Podgorze which is the area of Kraków’s Jewish Ghetto during WWII and the former Oskar Schindler’s Enamel Factory which now houses a permanent exhibition about Kraków under Nazi Occupation 1939-1945. The trip concluded with a tour of the Auschwitz-Birkenau Memorial and Museum, the former German Nazi concentration and extermination camp.